I'm the queen of turning leftovers into brand new deliciousness. 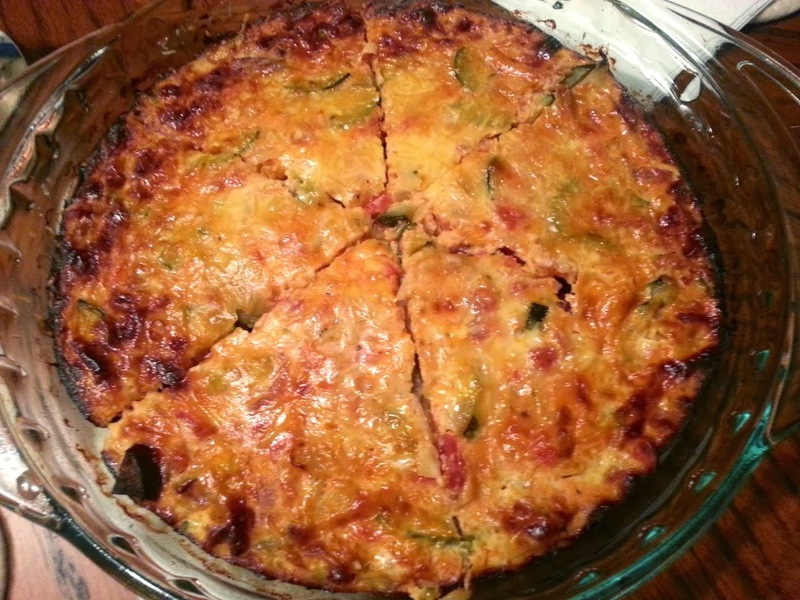 Case in point, Pizza Quiche. This recipe is really just a way to use leftovers from my Zucchini Stew recipe. 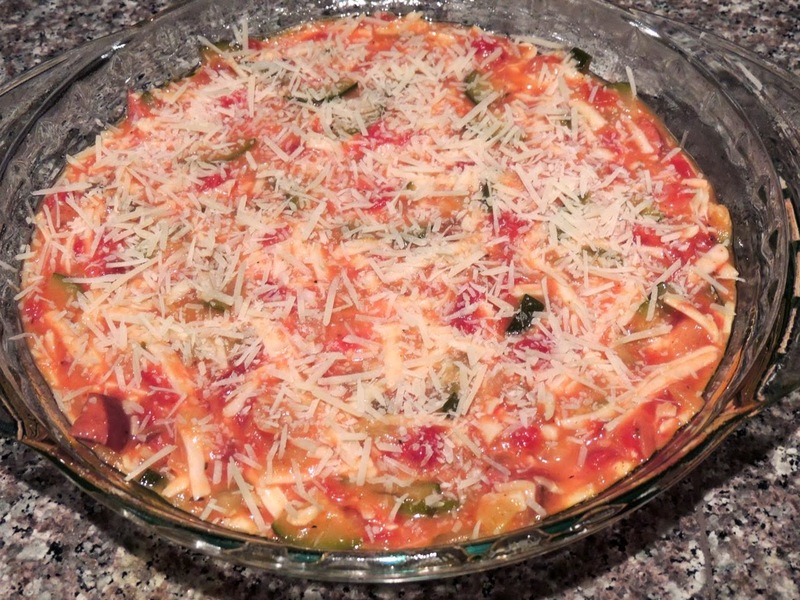 As delicious as Zucchini Stew is, for some reason my husband and I never get around to heating up the leftovers, so I came up with this recipe as a way to use up the stew while making it taste completely different (and oddly similar to pizza). I made this quiche to share with my mom last night while we watched the Olympics, and she said, "This is the best quiche I've ever had! It tastes like eating a juicy, deep dish pizza without the guilt." Yup, that's an exact quote. 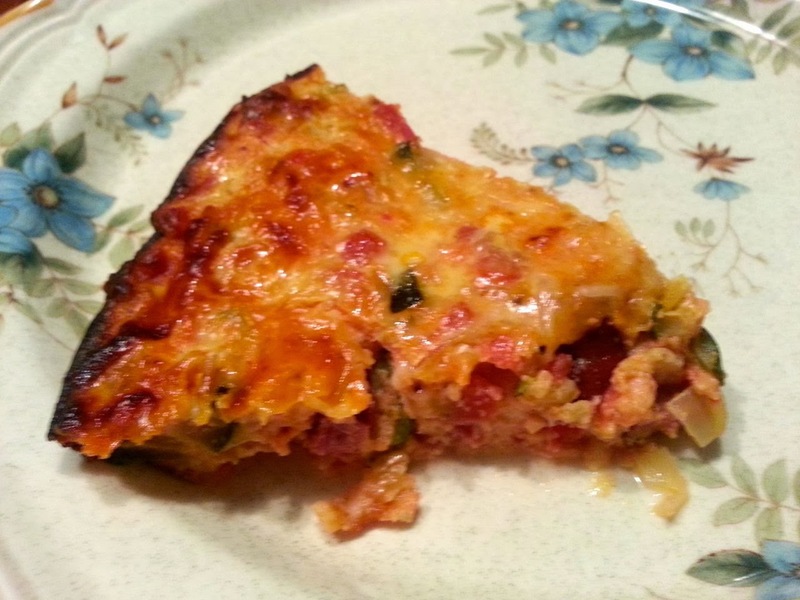 She's currently on a low-carb diet, so this quiche was perfect for her since it doesn't include a crust or any flour. It's also very low cal, about 800 calories in the entire quiche! While I say this recipe serves 4, my husband and I have easily polished it off ourselves before. It just depends how hungry you are and what you're serving with it. 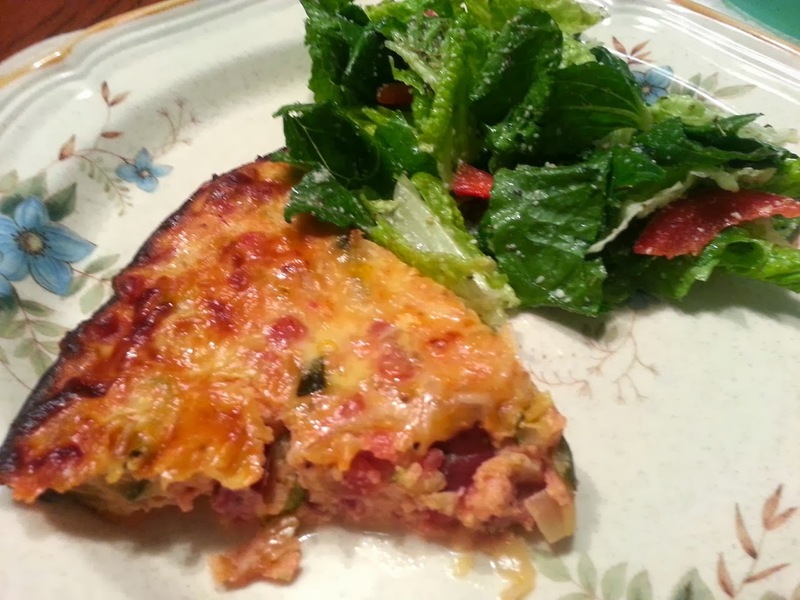 To make this quiche into a meal, I suggest pairing it with a salad (my Everday Salad or my mom's Spinach Salad are both good options), and if you want to add carbs, some sliced French or Italian bread would be perfect. Preheat oven to 375. 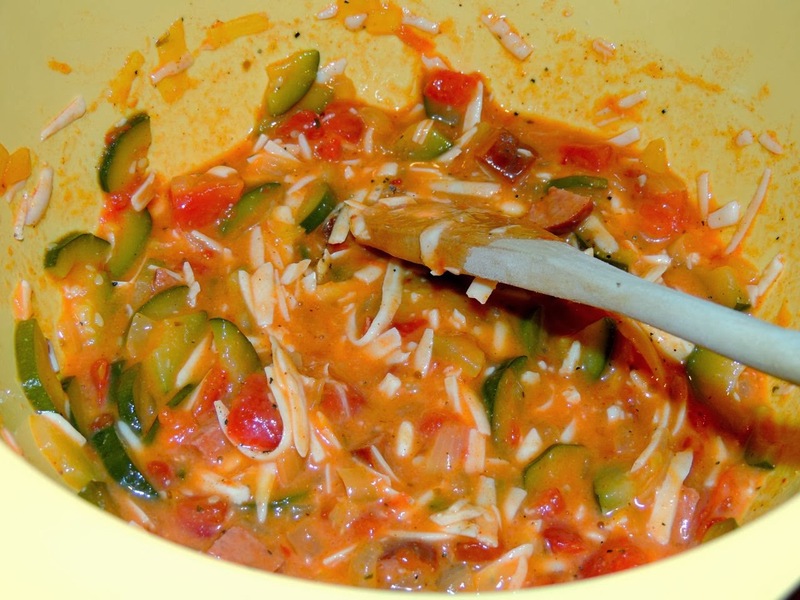 Mix all ingredients except parmesan in a large bowl. Spray a pie pan with non-stick cooking spray, and pour the egg mixture into the pie pan. Sprinkle evenly with parmesan cheese. Bake about 40 minutes or until a knife inserted in the center comes out clean.